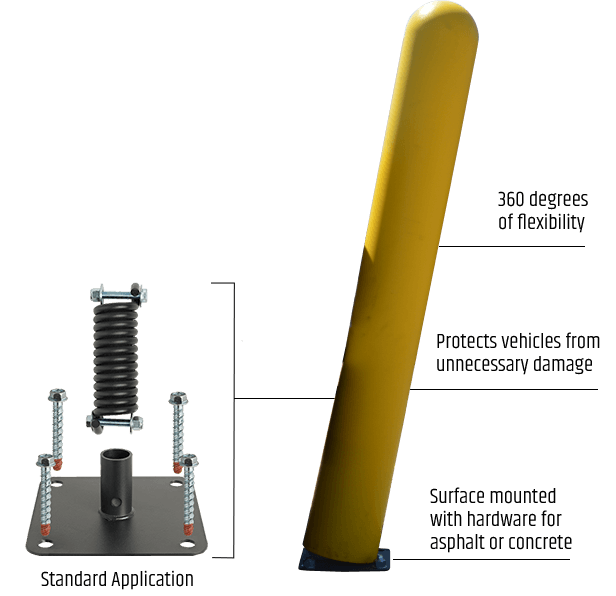 Ideal Shield’s Flexible Bollard from FlexPost provides a protective barrier to control vehicle and pedestrian traffic flow while enhancing visibility with a customized, colorful bollard cover. With the same unyielding appearance of a standard bollard, our Flexible Bollards allow for 360° movement, limiting damage to vehicles, while also giving the driver a warning sign when exceeding a parking space or veering out of their lane. 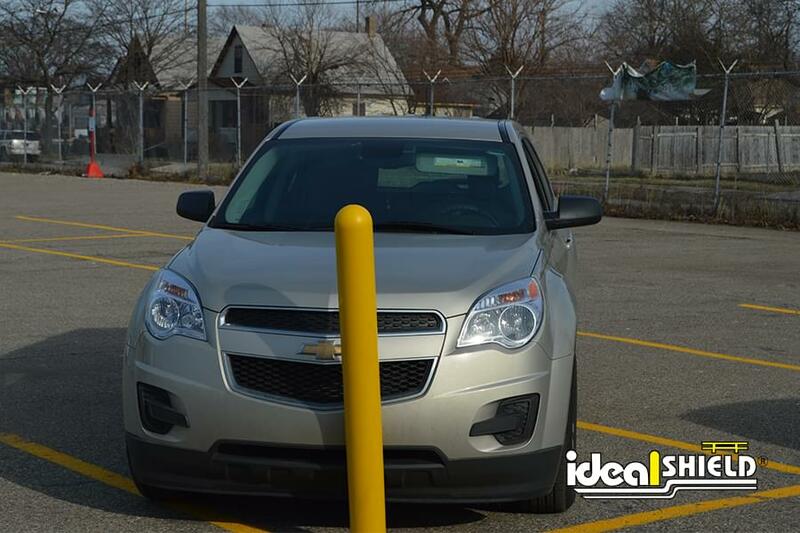 But our flexible bollard posts do more than just warn drivers and protect property. 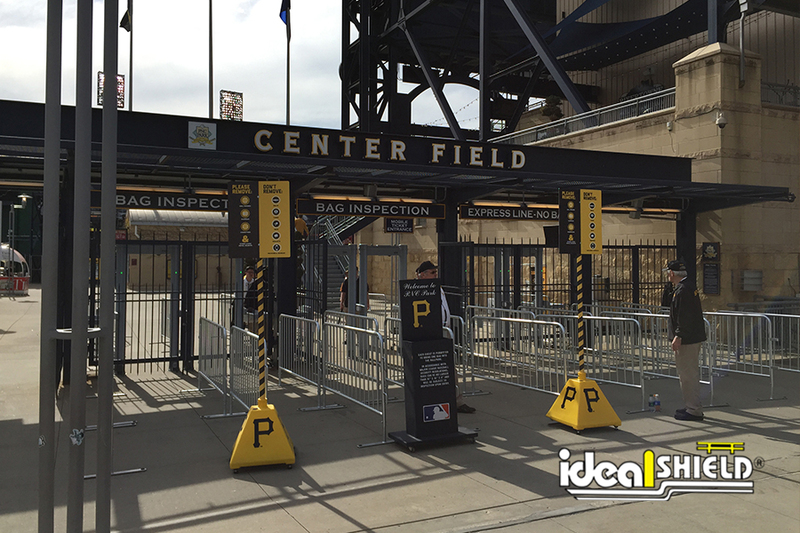 The standard Flexible Bollard comes custom fit with our 6” bollard cover, which is available in all standard colors as well as any color (upon request) and/or decal graphics to meet any branding needs. Not to mention, once the bollard is in place, the savings will start to roll in as the product is both maintenance-free and paint-free. 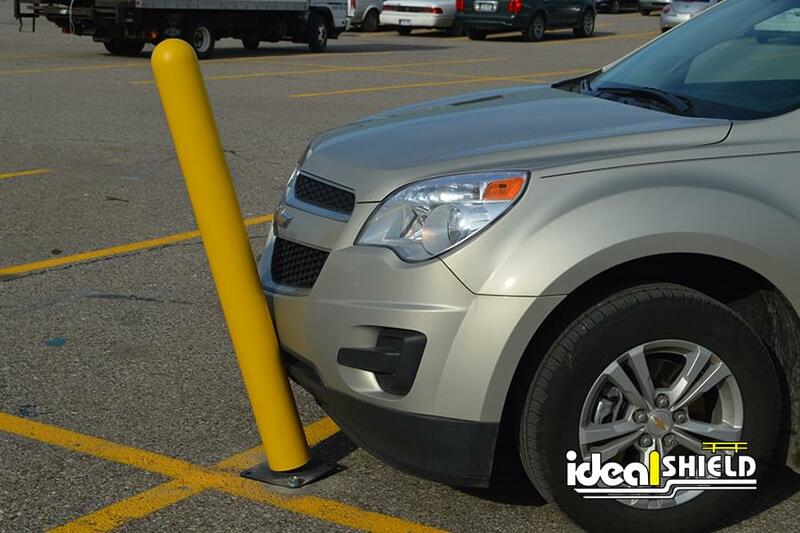 Worried about larger vehicles hitting your Flexible Bollard? Check out the Heavy Duty Flexpost Bollard. When do I need an Ideal Flexible Bollard instead of a regular bollard? Do you have a pipe that is consistently getting run into? 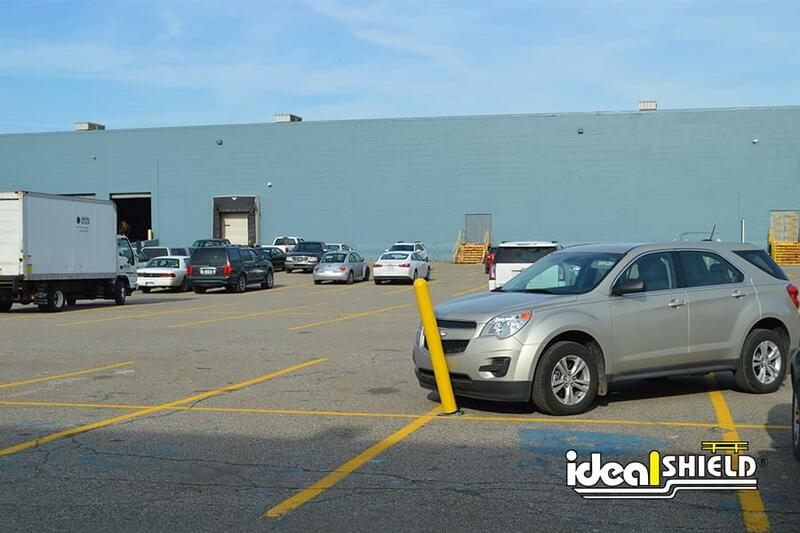 Ideal Flex Bollards are here to prevent you from having to replace those crooked pipes. They also limit impact damage to vehicles and never chip or fade! What color covers does it come in? Standard colors include Yellow, Red, 285 Blue, White, Black, 402 Gray, and Urban Bronze. But any color is available upon request. What surfaces can I mount Ideal Flexible products into? We provide installation kits for either asphalt or concrete surfaces.